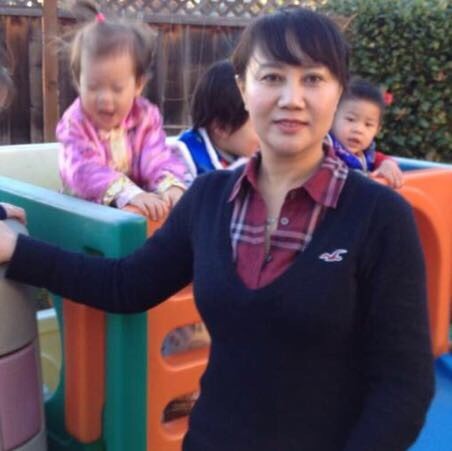 Meet Yujuan from Angel Baby Daycare in Cupertino! Kids are everything to Yujuan, the owner and caregiver at this Mandarin-immersion daycare. You can tell with the way she lights up when she talks about kids and with the way her little charge keeps coming back to sit comfortably in her lap. She thinks of all the children in the world as hers, and she smiles when she says, "Your child is my child." And she lives by that philosophy. She also recites a Chinese proverb, promising that she'll work and wait patiently with parents for their blossoms to bloom. She realized her love for children when she was at party in high school and she was more drawn to the cute children playing in the playground than the party she was attending. But the birth of her own daughter really drew out her love and inspired her to start her daycare. And now that her daughter is grown, we can all enjoy the extra love she has to share. 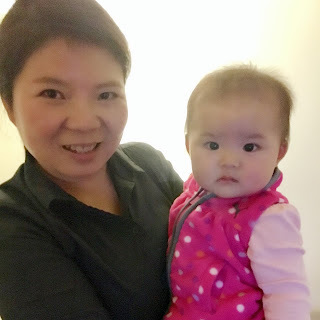 Yujuan has over 5 experience working at a daycare and has completed her courses in CPR, nutrition, and other essential courses in early childhood education. She solely speaks Mandarin, so her communication may be limited with families, but she has translators helping her along the way and is happy to care for children who speak all languages. Get to know more about Angel Baby Daycare! They're located near Apple in Cupertino.